Super Lucky's Tale (game, 2017). A 3D platformer video game by Microsoft Game Studios/Playful Corp. Developed by Playful Corp., Microsoft Studios. Official Trailer. 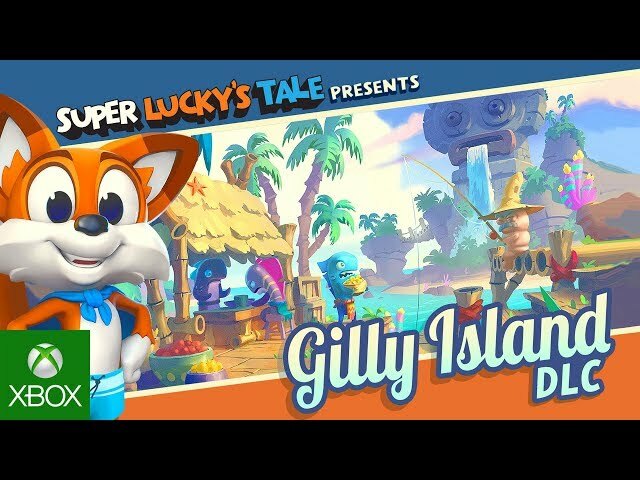 Super Lucky's Tale is a 3D platformer video game by Microsoft Game Studios and Playful Corp., developed by Microsoft Studios and Playful Corp..
Super Lucky's Tale - Gilly Island DLC Trailer. Super Lucky's Tale follows Lucky, a curious and brave fox on a quest to find his inner strength and help his sister protect the Book of Ages, inside of which exist entire worlds and characters. 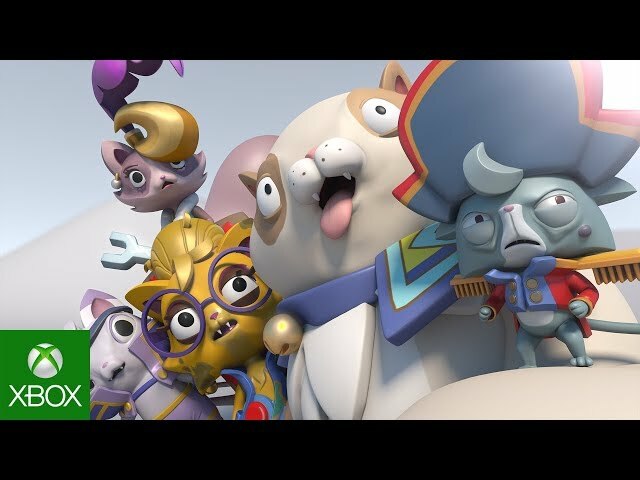 The game's antagonist is a cat named Jinx, a mysterious villain who is trying to steal the Book of Ages for his own nefarious purposes. Along the way, Lucky encounters a supporting cast of friends and adversaries. Lucky must confront the Kitty Litter, Jinx's mischievous kids. Lucky also meets friends and allies along the way, including misplaced Yetis, Kookie Spookies, a village of farming worms, and other colorful characters, all of whom live inside the Book of Ages and who, without Lucky's help, will fall prey to Jinx and the Kitty Litter's evil machinations. Super Lucky's TaleBs gameplay has been described as reminiscent of Nintendo 64-era 3D platformers such as Banjo Kazooie, Crash Bandicoot and Croc: Legend of the GobbosI. Each of the game's four worlds is presented with its own hub, where each individual level can be accessed. The hubs are levels themselves, with coins to collect and some basic platforming required to reach new areas. Each hub has around five main levels, and a number of additional puzzles to complete. The goal of each of these levels is to collect clovers, which enable Lucky to take back control of the Book of Ages from Jinx. Each level has four clovers to find - one for completing the level, one for collecting 300 coins, one for finding the five letters that spell "LUCKY", and one 'secret' clover, which is usually in a hidden area of the level, or by completing a short time challenge. 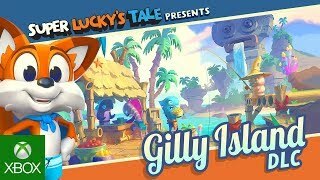 Super Lucky's Tale was scheduled to be released by Microsoft Game Studios and Playful Corp. on November 7, 2017 and on September 14, 2018. This video game is available for the following platforms: Xbox One and Microsoft Windows.